Almost 50% of kids aged 3 to 5 years lack even a single parent-supervised outdoor play session per day, according to a recent study done by the Seattle Children’s Research Institute. In fact, kids aged 10 to 16 years only spend 12.6 minutes each day on relatively vigorous outdoor activities. We’re raising a young generation of largely sedentary kids. They are more engaged in today’s digital entertainment mediums such as video games, phones, and tablets. 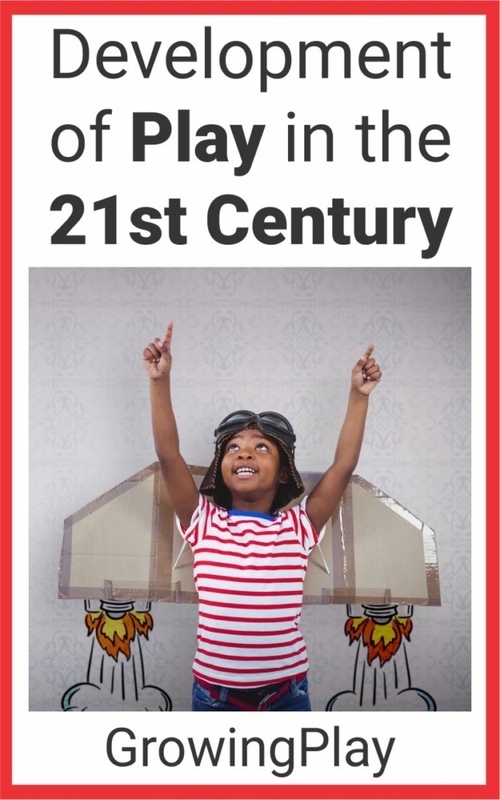 The development of play in the 21st century is more important than ever. It should be essential to your child’s development. Research done over the years has shown that playing is crucial to child development. It develops your child’s motor skills, self-confidence, social skills and is essential in the strengthening of the parent-child bond. Prticipating in play skills indoors and especially outdoors can help them children to strengthen their muscles, body flexibility, and endurance. 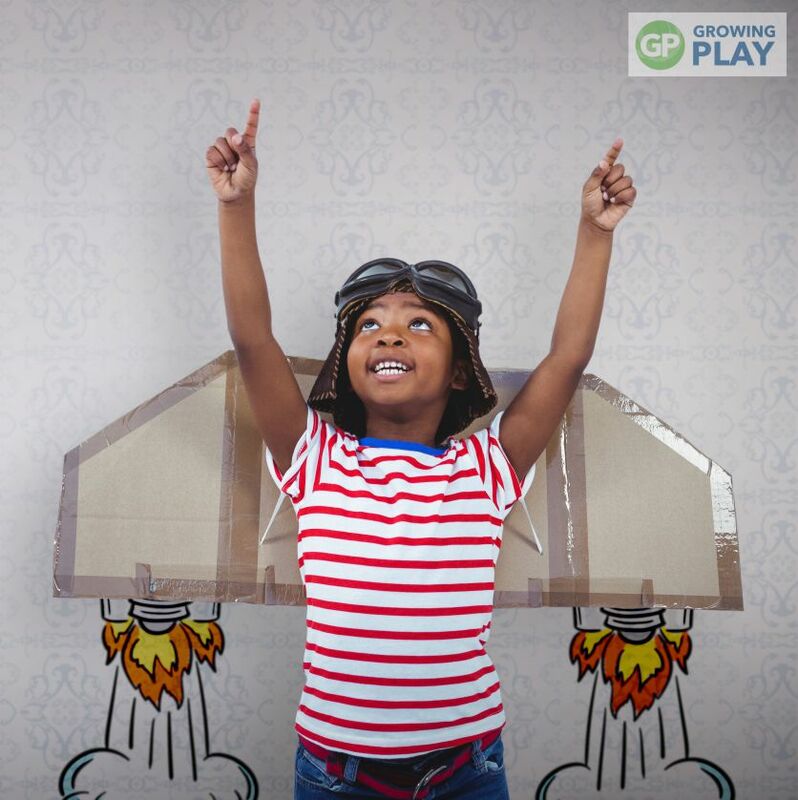 Fred Rogers once said, “Play is often talked about as if it were a relief from serious learning, but for children, play is serious learning.” Children need to play to learn. In today’s fast-paced, technology-driven world, children are struggling to develop the foundational skills for play. For children to be successful with play, they need to develop certain gross and fine motor skills starting from birth. Choosing the correct toy is crucial to help children develop play skills. Children need to move to learn. Static toys where children only have to press one button for a high level of sensory stimulation do not encourage children to explore their environments. Too often, you will find that society condemns leisure activity by calling it ‘lazy’ or more commonly ‘unproductive’. It has become the norm that anything that doesn’t seem to directly benefit grades at school is considered a waste of time. However, studies have shown that playing has a direct impact on a child’s cognitive abilities, especially in the formative years. Playing builds children’s creativity, their imagination, their ability to strategize and increases their ability to retain and memorize information. Without the benefits that play provides for the mind, you may find that even the most gifted children while putting the effort in their studies, find it hard to grasp new concepts or apply old ones to new situations. Play helps children to learn to think outside the box. With all of the future changes and automation in our society, it is our job as parents to teach children to think outside of the box. We need to raise children that are independent and creative thinkers. Unfortunately, many times these skills can go by the wayside at school. Teachers have to cram in so much content knowledge in order to get satisfactory state test scores, that creativity and ingenuity are not always a priority. Parents and teachers can take the time to add in supplemental lessons or use project-based and discovery learning to encourage children to think outside of the box. Psychiatrist Eric Berne authored a book titled ‘The Games People Play’, where he stated that all our social interactions are in the form of a game. If this is indeed true, it would explain why modern children tend to be recluses or extremely antisocial. When children lack exposure to playing with their peers, they can ultimately be challenged when meeting people in different situations. During play time, children practice interacting with different personalities and learn to cooperate with them in a variety of created scenarios. Without this experience, children may grow up unable to relate to people who are different from them and even to form strong relationships. Playtime is crucial when it comes to building social skills. Playing and leisure are the cornerstones of holistic development in kids and should not be sidelined. As a parent, it’s important to ensure that your kids are engaging in various play activities both indoors and outdoors to develop and build necessary life skills. Children need time to play WITHOUT screens. They will learn an extensive amount of skills through active movement, social interactions, pretend play, board games, outdoor play and more! Things that they will never learn sitting getting sucked into a tablet, phone or screen. As parents, we need to encourage play everyday in order for children to practice these skills. One easy way to do this, is to have activities ready to go. Are you looking to challenge children to think outside the box? 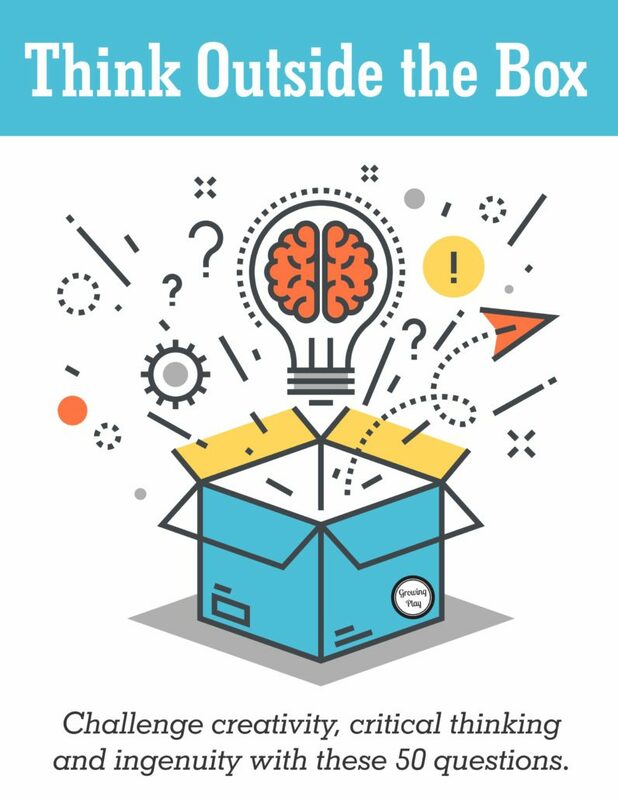 These 50 questions from the Think Outside the Box packet encourage children to use their imagination, intelligence, and creativity to solve problems, list ideas and think critically. This packet includes 50 questions and 2 response sheets to record answers (single lined and dotted lines). FIND OUT MORE. Thank you to Jennifer Poplar for contributing to this post.